Our principle objectives since inception have been to provide results with honesty, integrity, reliability, and promptness. Each project awarded to Vanguard is an opportunity to outperform expectations by meeting deadlines, address alternate measures, and stay in budget. Vanguard was awarded the Site Lighting and Security portion of this 34 acre Chevron North American Data Center project in 2013. The site lighting and site security raceways totaled over a miles worth of in-ground pathways that were ran through mostly solid rock. Though this was a tumultuous task the job was completed in just over three months. This phase of the project also included erecting 30 Lighting and Security Poles as well as running power to two security gates along the premises. This project was completed in early 2014. 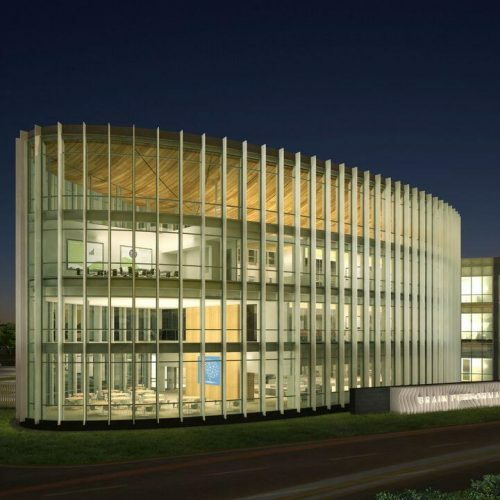 Vanguard Electrical Services partnered with Turner Construction Company to perform the electrical package for UTD Brain Performance Institute. 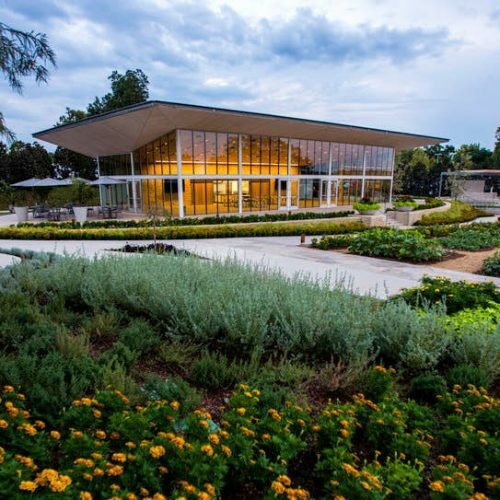 The 62,000-square-foot, 3 story building and program center, located at Mockingbird Lane and Harry Hines Boulevard in Dallas, is the first of its kind. It offers scientifically based programs to increase brain performance, health, and to regenerate brain cells. 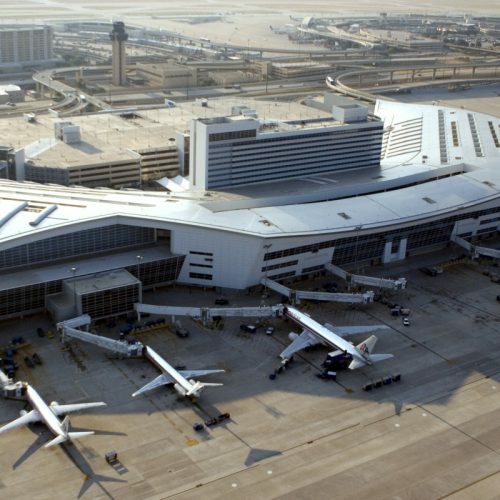 The DFW International Airport TRIP (Terminal Renewal and Improvement Program) began in 2011 to renovate Terminal A, B, C and E over the next seven years. In 2012, Vanguard Electrical Services, LLC was awarded the MBE minority participation portion on Terminal B. Working alongside another primary contractor, VES assisted in a complete overhaul of the electrical service and distribution throughout Terminal B.
VES professional management team oversaw the installation of over $6 Million dollars worth of electrical gear in Terminal B. 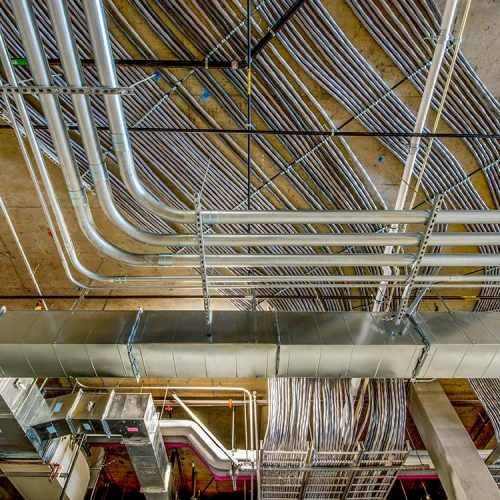 The project included miles of electrical distribution raceways to feed the new equipment being installed as well as a lighting control system to regulate the new office areas in the terminal. VES portion of the TRIP Terminal B project ended in 2014, however some aspects of this project are ongoing. 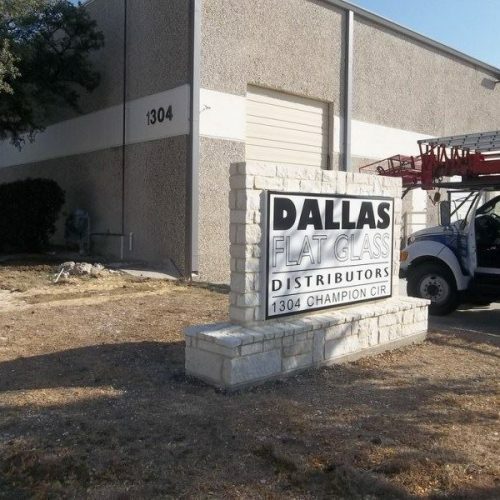 This 150,000 square foot distribution and plastic re-packaging center is located in Fort Worth, Texas. Completed in the Summer of 2014, this distribution center was a design/build project that included a tenant office finish out as the first phase and will consist of two other phases for future expansion. This facility enables A&R Logistics to be strategically positioned to provide innovative supply chain solutions across the United States. 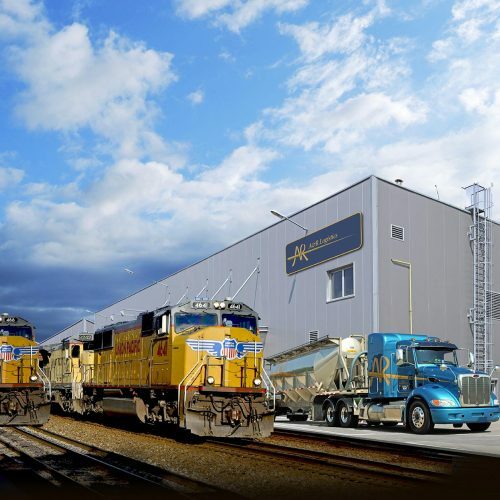 In late 2013, Plymouth Packaging approached Vanguard with a unique opportunity. They were in need of a Design/Build project that would house their new corrugator plant and it needed to be complete in five months. 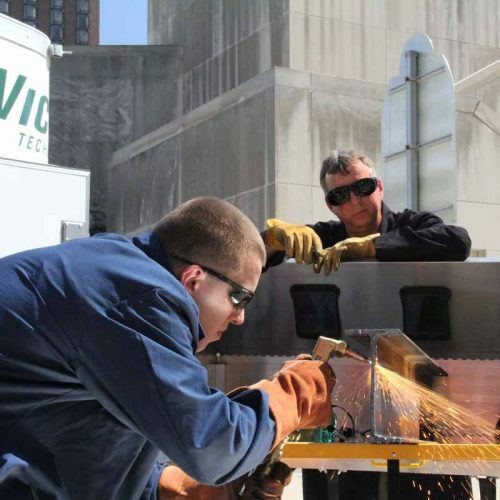 Vanguard Electrical Services, LLC was up to the challenge! VES designed a 2,500 Amp service that would power the corrugator, a stacker, conveyor line, shredder and printer. The project also included a tenant office finish out, boiler and a new starch silo. The new corrugator facility was completed in the Spring of 2014. 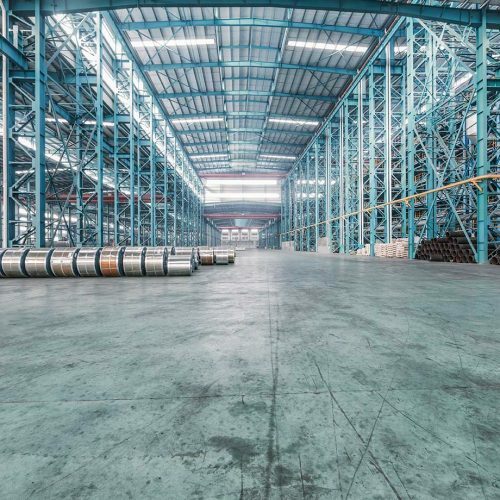 This 160,000 square foot facility is located in Fort Worth, Texas and is the second corrugator plant adding to Plymouth Packaging’s capabilities as one of the leading suppliers in fanfold corrugated boxes. Vanguard began work on this restaurant expansion in the Spring of 2013. 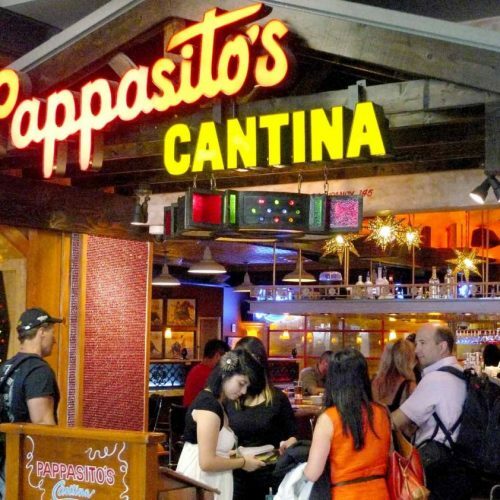 Pappas Restaurants, one of the largest family-owned restaurant companies in the United States, decided to expand their location in DFW International Airport Terminal A by adding an additional 1,800 square feet of space. 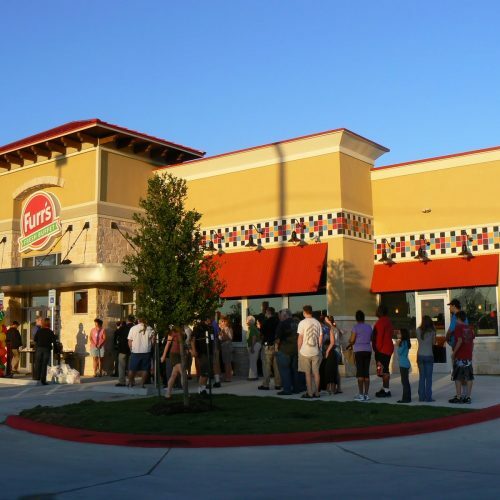 This expansion included a walk up bar, To-Go area, and additional electrical service. Completed in the Summer of 2013, this new expansion will enhance Pappas Restaurants appeal to international travelers. 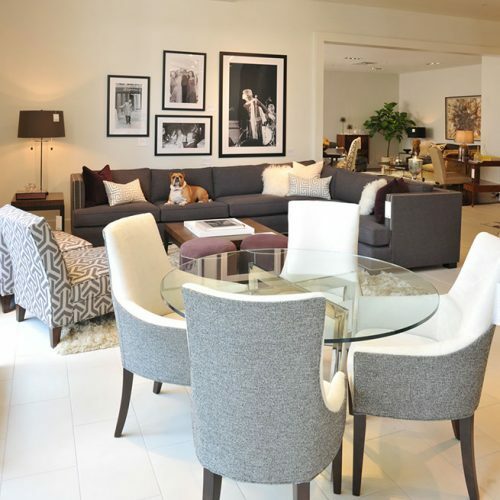 MGBW is a premiere home furnishing store that added their second Dallas/Ft. Worth location in 2013. This project was an 8,000 sq. ft. tenant finish out complete with decorative track lighting throughout as well as luxury accent lighting for multiple photography/wall art locations. This gorgeous lease space sits in the epicenter of West Plano’s Willow Bend Mall. This Furrs Restaurant had been a staple of Southeast Richardson for over 20 years, but with change comes progress and it was time to make a change. The Furrs Restaurant was converted into an upscale medical office building. This new office building will be a vibrant addition to a re-emerging sector of Richardson that is now submerged with major shopping and a row of trendy restaurants. This renovation from a restaurant to a medical office was turned over in three months and was completed in the Summer of 2014. This project was a complete renovation of a 30,000 sq. ft. three story facility which included six bathrooms and multiple tenant improvements to office areas. Built in 1985, we were able to completely revamp the communications, lighting and power for the offices and bathrooms. 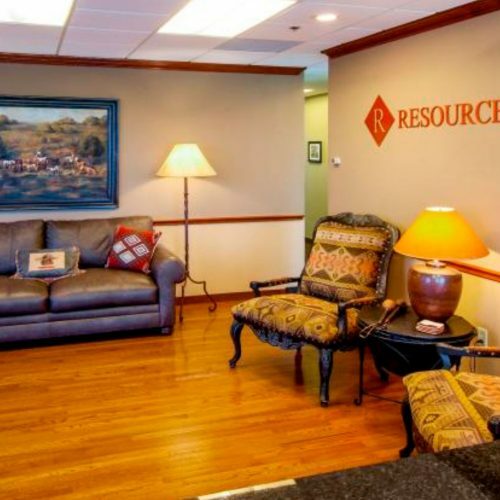 The Resource Commercial offices were completed in 2012.